Australia is the only country that along with a couple of outlaying islands, make up an entire continent. 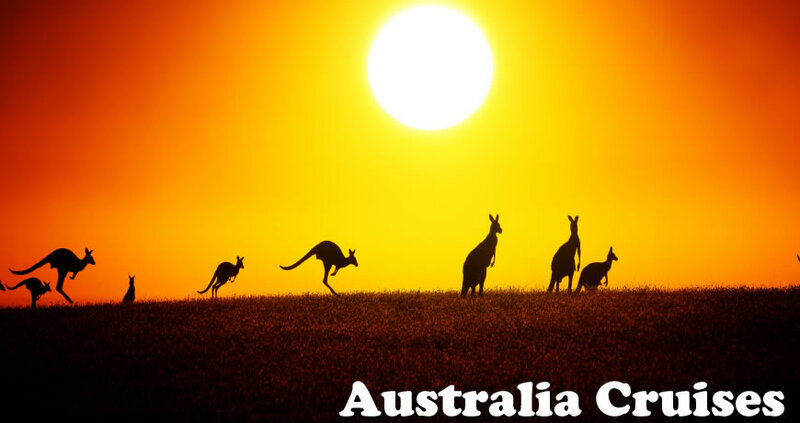 Due to its position in the Southern Hemisphere it has been coined as “the land down under”, with the seasons reversed from those experienced in the Northern Hemisphere. Therefore, winter in North America is summer over there. 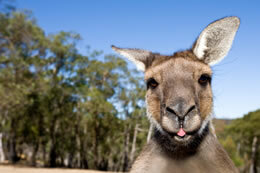 Due to its isolation, Australia is a land of plants and animals seen nowhere else in the world. Only here will you find kangaroos, koalas, dingoes, wallabies, wombats and the iconic kookaburra living in their natural setting. And did I mention the fierce Tasmanian devil? When people think of Sydney, Australia the first image that come to mind is the architecturally spectacular Opera House, but the city has so much more to see. Adventure seekers may want to climb the Harbour Bridge or hike through Blue Mountains National Park or seek out Wentworth Falls. Others may enjoy cuddling kangaroos and koalas at the Taronga Zoo. In Melbourne taking the City Circle tram to the many points of interest along its route will give you a good overview of the city. Be sure to get off at Federation Square, a mix of attractions, museums, galleries, restaurants, cafes and bars. If you're in the city after dark take a Phillip Island evening tour from Melbourne and see the parade of the little penguins as they emerge from the surf and waddle to the safety of their dune burrows. 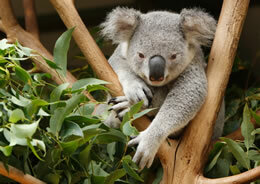 While in Brisbane visit the Lone Pine Koala Sanctuary. 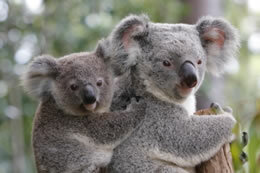 It is the first and largest koala sanctuary in the world. Set in attractive natural settings located on the Brisbane River, over 130 koalas live here, alongside kangaroos, dingoes, wombats and many other Australian natives. Cairns is the closest port and a gateway to Australia's Great Barrier Reef, and isn't the Reef the reason so many people flock to Australia? Snorkel, dive, and swim amongst the most spectacular coral gardens and marine life in the world! If you don't want to get wet you can head for the underwater observatory or have a look around from the comfort of a semi submerged submarine. Tasmania is an island state off the coast of the Australian mainland. Hobart is the picturesque capital city of Tasmania but most of the island is largely uninhabited, with deserted beaches, mountains, 17 national parks and rugged coastlines. It has become a favorite for hikers from the world over. Neighbor New Zealand, a country of spectacular beauty, lies about 900 miles east of Australia. The country encompasses two major islands stretching north and south and separated by Cook Strait. The more developed North Island is home to the main cities including the country's largest city Auckland; its rolling green hills are dotted with sheep and horses, and the central heartland pulses with geothermal activity The dramatic South Island is a quite a contrast with its snow-covered alps, fjords, glaciers and charming British-style towns like Christchurch and Dunedin. Auckland, New Zealand is your jumping-off point for immersing yourself in Maori culture, going sailing, or visiting Waitomo Glowworm Caves, and see Rotorua's bubbling mud pools and geysers. Or head over to the Harbour Bridge, the Pacific Ocean below, for a two and a half hour adventure on, around, up and under it! You can bungy jump from the top, too! No city in New Zealand better exemplifies its British roots than Christchurch, which will definitely remind you of a small English city. The Antarctic Attraction is located in the heart of a working Antarctic campus at Christchurch International Airport. It is from here that many Antarctic missions are organized. Visitors can experience real Antarctic conditions with Audiovisual and Touch Screen technology and feel ‘genuine’ Antarctic wind chill or slide down a snow slope in the Snow & Ice Experience. The Penguin Encounter is particularly popular with children. Dunedin is the closest you'll get to Scotland in the Pacific. If you can't possibly return from the South Pacific without buying a kilt or a locally fermented single malt whisky, you've come to the right place. Shore excursions will take you close enough to Antarctica to visit with penguins or far enough inland to explore one of New Zealand's precipitous gorges. With a land mass so large and cities spread out, it makes good sense to optimize your visit to the South Pacific by cruising. 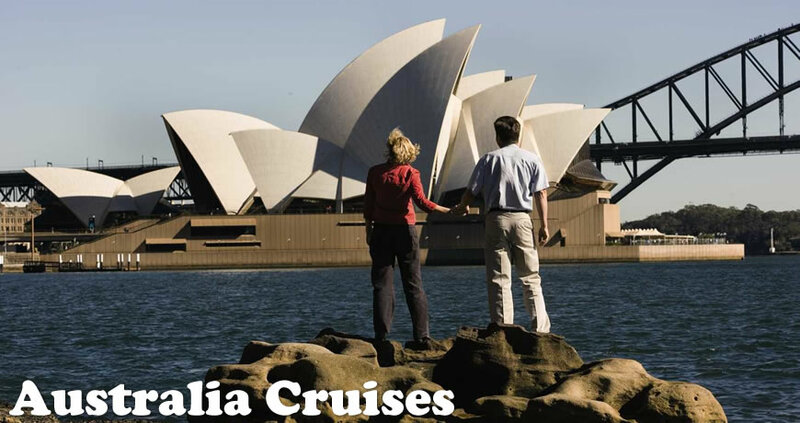 Most Australia cruises depart from Sydney or Auckland, New Zealand. While there are certainly sites in both countries that are not accessible via cruise ship, a pre or post cruise stay will give you the opportunity to visit the Outback, spend additional time at the Great Barrier Reef, or see some of the natural wonders of New Zealand. For those in North America, an Australian cruise is a fun and exciting way to explore the many cities and cultures of the South Pacific. A relaxing vacation on board a large or luxury liner takes passengers to many of the continent's notable landmarks, be it Sydney with its recognizable Opera House or a port known for its wildlife. 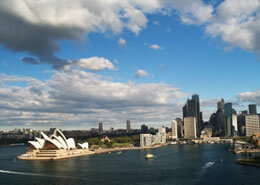 Cruises to Australia, however, don't just stop at points along the continent's perimeter. Longer cruises travel the 900 miles to New Zealand and even make stops in other close Pacific nations. • Sydney. Aside from the Opera House, Sydney is home to the Blue Mountains National Park, Wentworth Falls, and Taronga Zoo – all great opportunities to experience Australia's natural beauty. • Melbourne. Explore this Australian city on the City Circle tram or take in the natural sights with a tour of Phillip Island. • Brisbane. This town is the home of the Lone Pine Koala Sanctuary, the first and largest koala sanctuary in the world. In addition to 130 koalas, the sanctuary is additionally home to kangaroos, wombats, and other animals unique to Australia. • Cairns. This city is the gateway to the Great Barrier Reef. Experience this natural wonder by diving, going on a scuba expedition, or from the comfort of a partially-submerged submarine. • New Zealand. Much like Australia, the island nation of New Zealand has a European influence presence and breathtaking natural beauty. While capital city Auckland is a melting pot of everything Kiwi, cities like Christchurch and Dunedin reflect their English and Scottish histories, respectively. Within the country are beautiful green hills – a defining characteristic of the northern island – and glaciers, alps, and fjords in the southern portion. 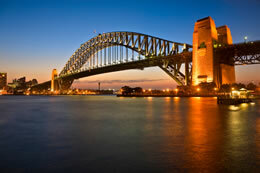 Australian cruises start from cities on the continent or within the Pacific Rim, and each yields a unique and exciting journey. Shorter trips often start from the continent, but for a longer and varied experience, begin yours from Hawaii, Singapore, or New Zealand. With greater distance and more time at sea, a ship stops at several Pacific ports, including in New Caledonia, American and Western Samoa, Vanuatu, French Polynesia, and Fiji. Each is a great chance to explore and take in each unique Pacific culture, sights, and cuisine. 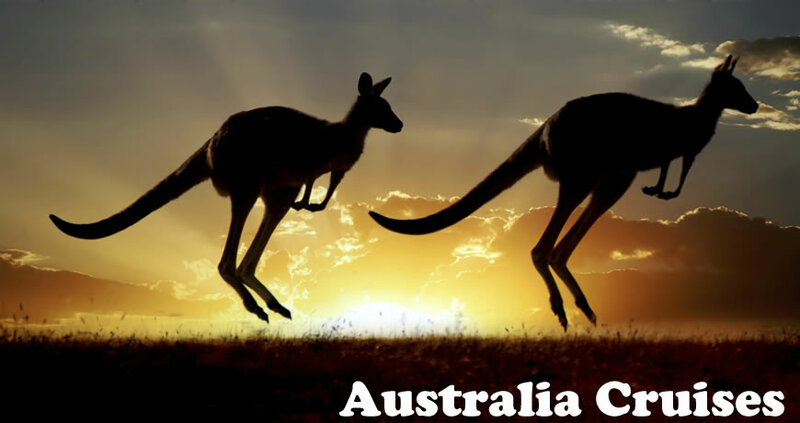 Aside from considering the departure point and itinerary, decide which cruise line to Australia is better for your journey. A range of family-friendly to luxury liners offer shorter and longer tours of the Down Under, including Royal Caribbean, Celebrity, Crystal Cruises, Oceania, Regent, and SilverSea.